In 2017, Tudor introduced the Black Bay S&G, which is the two-tone version of the brand’s famous dive watch. The combination of stainless steel and yellow gold looks great on this particular model and even more appealing is the relatively affordable price tag of the two-tone Tudor thanks to the judicious use of gold. Say hello to the Tudor Black Bay in stainless steel and gold. Tudor has a Steel and Gold Black Bay, a great alternative to the Rolex Submariner. Like most models in the family, the Tudor Black Bay S&G sports a 41 mm case water resistant to 200 meters (660 feet). Accenting the predominately steel case and steel bracelet are the yellow gold details from the bezel to the “Big Crown” winding crown to the center bracelet links. 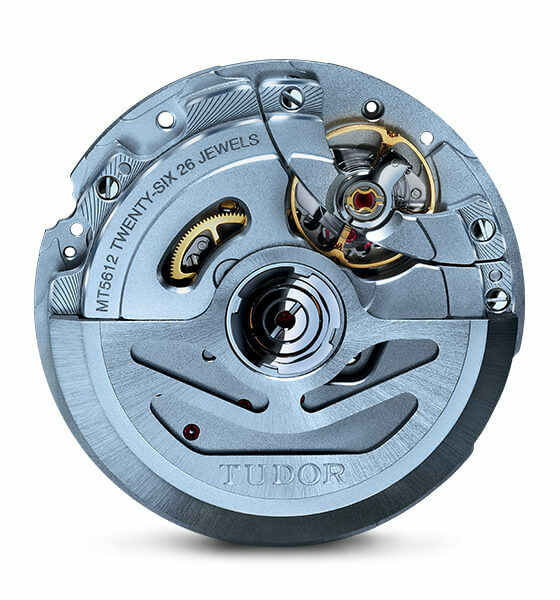 It’s important to note that in order to keep the price down, Tudor uses gold-capped components instead of solid gold. The end result is the look of gold without the hefty price tag. 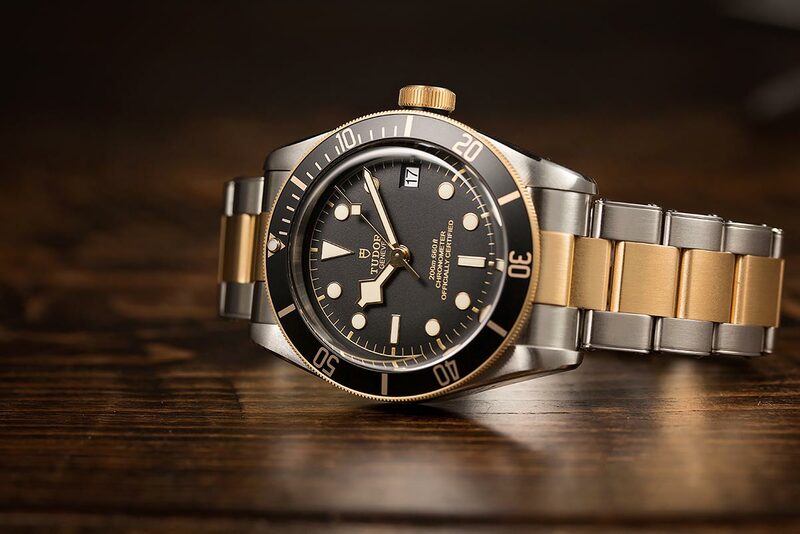 As a dive watch, the Tudor Black Bay S&G includes a unidirectional rotating yellow gold bezel with a black anodized aluminum dive bezel which works in the same fashion as the Submariner. The 60-minute graduations on the bezel are also in yellow gold to complement other parts of the watch. There are two dial options—black or champagne—to choose from with the Tudor Black Bay S&G. Regardless of the color, the hands are, of course, the iconic snowflake hands reminiscent of the Tudor watches used by the French Navy in the 1970s. Along the luminescent hour markers with gold surrounds, the dial also houses a date window at 3 o’clock—a first for the Black Bay collection. A domed sapphire crystal protects the dial of the steel and gold Tudor dive watch. Similar to other Tudor Black Bay watches, the S&G version features bracelet and strap options. There is the classic steel and yellow gold bracelet, complete with a folding clasp and safety catch. Alternatively, there’s also the option of an aged black leather strap or a brown fabric strap. Powering the Tudor Black Bay S&G is the Manufacture Caliber MT5612—an in-house automatic movement. The MT5612 is a variation of the MT5602 with the addition of the date module. It boasts a power reserve of 70 hours and operates at a frequency of 28,800 beats per hour (4Hz). Naturally, like all modern Tudor movements, the Manufacture Caliber MT5612 is chronometer-certified by COSC. For less than $5,000, the Tudor Black Bay S&G brings plenty to the table. In addition to the more formal two-tone steel and gold style of this dive watch, there’s also the practicality of the date window and the prestige of an in-house movement. While two-tone dive watches are not for everyone, for those who love the look, Tudor certainly makes an attractive option with the Black Bay S&G.